Your Purchase is Guaranteed! You have a full 60 days to try out the HealthSmart Filter for Trane and see if it doesn't do all that we've promised it does. If it doesn't, just return it and we'll refund your payment -- guaranteed! We will attach the gasket to air entering side of the frame, instead of the air leaving side. 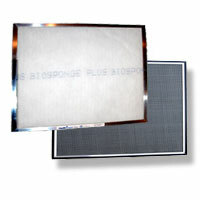 Air Sponge frames are constructed of heavy-gauge aluminum and a dust grabbing, charged electrostatic scree n. Each frame is made precisely to your exact filter size. Another great feature is the patented anti-bypass seal, it insures the filter seals firmly - preventing bypass -- cleaning 100% of your air. 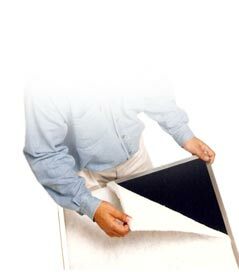 The frame is permanent and backed by a lifetime warranty, so you'll never need to buy another! 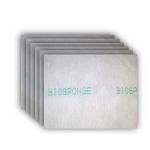 Your Air Sponge custom filter frame houses replaceable BioSponge inserts, not only do these remarkable inserts eliminate the air filter as a potential breeding ground for micro-organisms, it also controls airborne germs with its Aegis microbe shield. Replacement is a breeze, just peal out the dirty insert and replace with a fresh one. 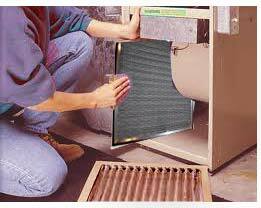 The Air Sponge Filter may qualify for reimbursement under your health plan and may be tax deductible if prescribed. Ask your doctor. I have been buying Air Sponge Filters for a number of years. 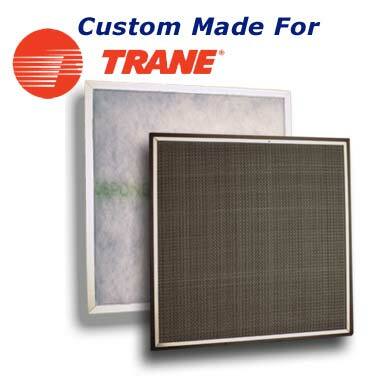 I recently had a new Trane system installed and ordered the Trane special frame and Air Sponge filters. 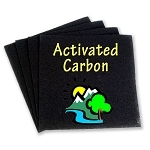 Excellent product and service from a dependable customer friendly company. Q: We have a trance with a filter that is. 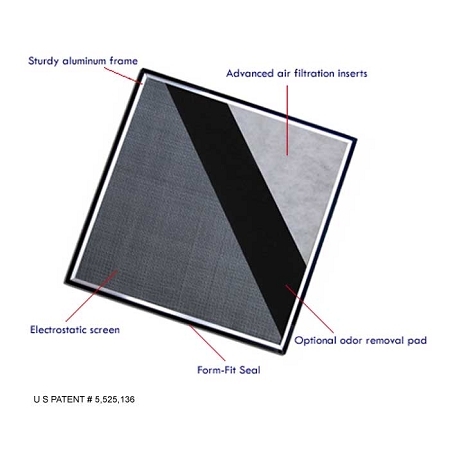 20 by 25 by 5 ( thickness) will your filters fit our filter thickness? 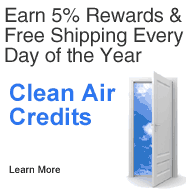 85 Clean Air Credits will be rewarded to you when you buy this item.